As part of the model's 20th Anniversary celebration. 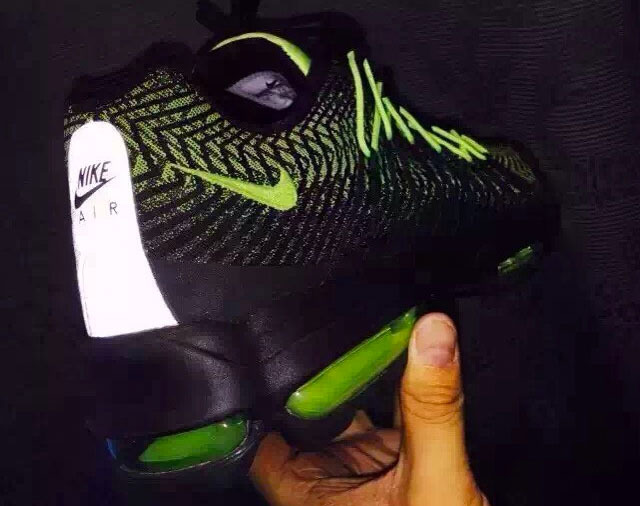 Soon, Nike will push forward with the Air Max 95's 20th Anniversary celebration, which includes this reinvention of the classic runner. The silhouette is retained, but the shoes's famous flowing lines are replaced with woven jacquard construction. Flywire cables wrap the package for a modern tech upgrade. 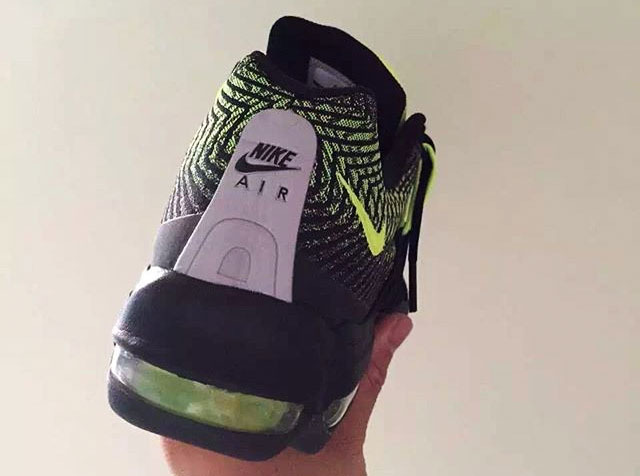 The colorway previewed here is essentially a remix of the beloved "Neon" 95. 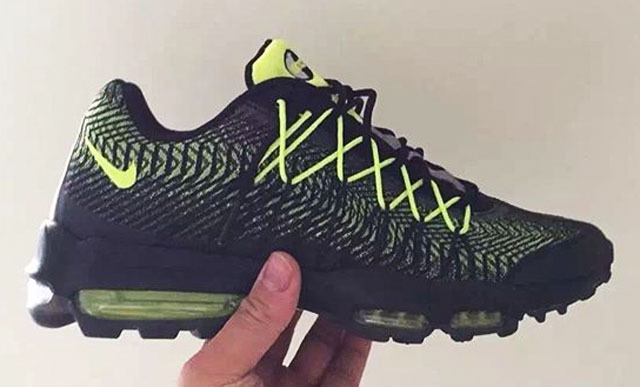 Expect the Air Max 95 Ultra Jacquard to release as soon as this month.